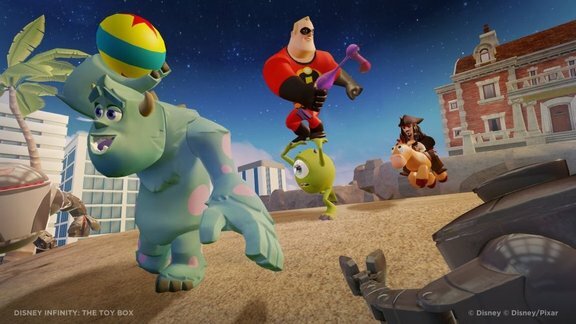 Disney revealed its newest project that brings together beloved characters from both Disney and Pixar properties, called Disney Infinity. Well what is it? 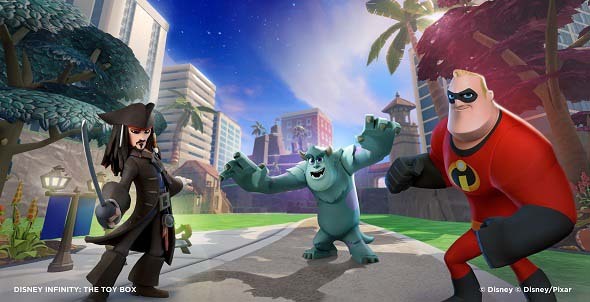 Disney Infinity is a toy-based game a la Activision’s Skylanders, that lets players bring their specially made toys to life in a virtual world. More on how exactly it works below. Disney Infinity is another step forward in the rise of casual gaming that was initially made popular by the Nintendo Wii and will probably continue with the launch of the Nintendo Wii U. This exciting new game looks to capitalize on Disney’s huge list of characters and with the proper effort, it could turn into a truly large online experience for people of all ages. So read on for the Disney Infinity preview! Disney Infinity Preview – How does it work? To begin, players have to buy a starters kit that will include an Infinity pad and a couple of figurines. The first kit is said to come with Monster’s University, Pirates of the Caribbean and The Incredibles playsets. After the pad is connected to your platform of choice, and there’s a lot of them, you can place upto 3 figurines on the pad to begin the adventure. These NFC enabled pads will communicate with the figurines, which aren’t just hollow toys by the way, and let you access content that has been built into them. So for example, if you put in a Jack Sparrow figurine, you’ll get to access Pirates of the Caribbean content as well as Jack as a playable character! As mentioned above, the first kit will come with a few figurines, and additional figurines and sets can be bought to extend the game experience. Furthermore, extra slots on the pad can also be used for placing different special objects that grant in game bonuses. Each figurine will come with exclusive content and will also be able to save data. Now the exciting part is that every playset will contain figurines that tell a different story set in their own world, sort of like a campaign, as well as a sandbox mode. The campaign portion will last around 2-3 hours wherein each character has their own special abilities like in the movie or show. Now, the noteworthy part is the sandbox mode, called the Toybox mode in Disney Infinity. It’s basically an open world where you are free to create your own levels, with any number of characters from any number of properties! So you can transfer character specific content onto the Toybox mode and go nuts, create what you want. The playsets themselves are unique, and each will tell a tale playing on a series strengths. For example, The Incredibles playset focuses on combat while the Pirates of the Caribbean playset focuses on exploring the seas as well as combat with Jack Sparrow’s unique humor thrown in. With Disney owning Marvel and Star Wars, we could perhaps see some superheroes join the ranks of Disney Infinity too, and we know that even now there isn’t a dearth of content. The starters kit with 3 playsets will retail for 75$, and subsequent figurines will be sold for 13$ each. It’s a slightly pricey start, but if the freedom they claim is actually offered, it could be worth it. 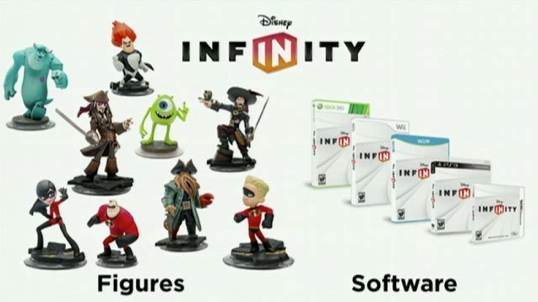 Also, one of the best parts is that Disney Infinity will launch on pretty much every platform out there, so it will be a globally connected game world from a wealth of platforms. It’s set to come on Xbox 360, PlayStation 3, PC, Wii, Wii U, 3DS and mobiles. Disney Infinity will launch in June 2013 and if pulled off correctly, it could be a helluva game! Drop us a line and tell us what you think about our Disney Infinity preview and do check out the announcement trailer below! Atari Arcade Games Playable Online for Free! Awesome Game Trailer. I am very big fan of Disney Characters and especially eager about Captain Jack Sparrow. Will it have any story modes? Yes, like I mentioned, each figurine has a campaign mode as well.